Sydney Shop Girl: Zebra Is My Print. 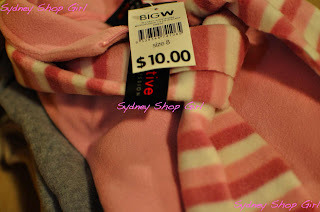 Big W Polar Fleece Is My Winter Fabric. Zebra Is My Print. Big W Polar Fleece Is My Winter Fabric. These pre-dawn Saturday posts are becoming a bit of a tradition, aren't they? Before I go any further, do you notice anything ... different? 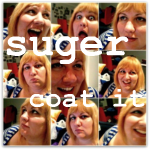 The lovely Melissa at Suger Coat It has made over my blog!! Thank you so much, Melissa!! The consultative process was a hoot. Together, we discovered so much about SSG. Her colour is what we will now call SSG Blue, zebra is her true animal print (though leopard is also lovely) and well, what image says SSG better than a shopping bag? A credit card possibly came to your mind but I think copyright infringement prevents the use of the CBA, Visa or Mastercard symbols for blog related purposes. So here I am. Sipping a hot cup of tea and draped in my winter morning uniform. I think it is only fitting that my first post after the big reveal (it really is an Extreme Makeover, I love the new look to bits) be about shopping. For the last few months, the financial pages of the papers have been full of tales of woe for the retail sector. Specifically the profit downgrades for the the heavy hitting department stores, Myer and David Jones and also the collapse of established national clothing chains like Colorado. All sorts of theories have been supplied to try and explain it all. Faltering consumer confidence as the uncertainty over Australia's price on carbon continues, the rising cost of food and fuel, apprehension about the global economy, the allure of online retailers both locally and abroad even the attraction of saving hard and ditching credit. It has also emerged that 'aspirational shoppers' (I hate those two words together) are becoming more value and price sensitive and 'retreating' down a price range or two in a bid to make their budgets stretch a little further. Financial analysts of Australia, I'm guilty as charged but not just for the reasons outlined above. It's just so much easier shopping at Big W or Target for the no frills basics of life. 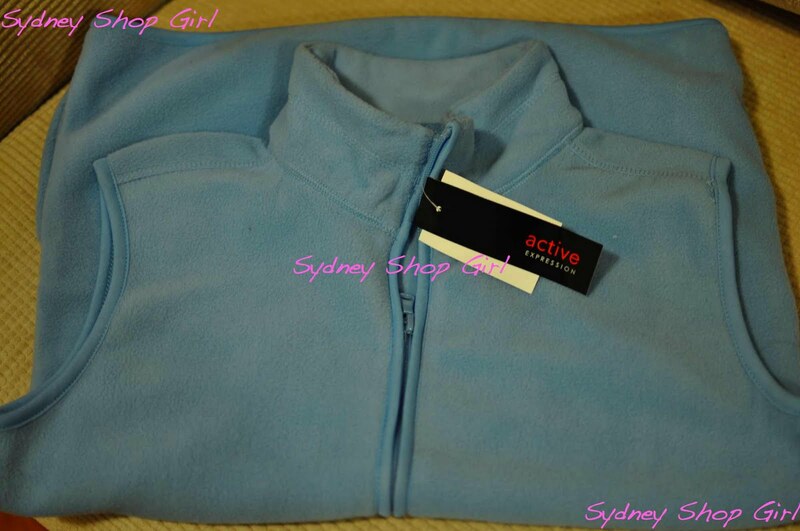 Take polar fleece for example. A fabric largely ignored by the high street and designers of influence for many a decade (if not forever). 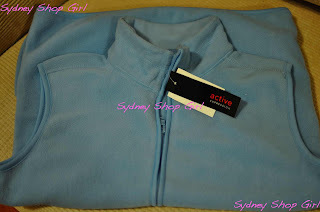 Surely I can't be the only person in Sydney who values the longevity, low maintenence, non iron and quick drying properties of suburban (as opposed to extreme weather) weight fleece? Which is where my local Big W comes in. I just walked in found what I was looking for, paid (finally getting the hang of the self serve stations) and walked out. At a nice price and without the drama of trying to find a cash register that actually has someone behind the counter. Now comes the difficult task of parting with my current ancient collection of vests and jumpers. Be strong, SSG. Today is all about new beginnings. If you survived and thrived after your blog makeover, you can clear out your wardrobe too. Catch up with you later. I hear silence outside. Which means it's not raining. Which means I can go for a run after all. Aren't you looking all sassy with your new look? Love it! Love the new layout, very nice! Was the baby blue Big W vest bought in the blue to match the blog, by any chance? I've lost my comment icon somewhere. Oh, I love the zebra print background, but unfortunately I can't read the text. Sounds like this isn't a problem for anyone else though. Maybe it's because i'm on a Mac? or maybe I need to change a setting somewhere? P.S. Just managed to decipher Mary's comment. I am also on a mac. Yep, we can't read your lovely blog! didn't it turn out to be a beautiful day!? my husband and i were planning on going to the AFL game and changed it to bowling because we were afraid of rain! I'm on a Mac and it's reading fine for me. On my computer the zebra print forms a border on either side of the central panel which is white. The text is black in the central panel but red to the right. I will get in touch with technical support and let you know what happens. Forgot to add, if anyone is having trouble reading my posts, could you tell me what you've got on your screen and if you're mac or windows? Is an icon for comments coming up easily? I am LOVING the new look SSG, it's been a few days since I've been on your bloggy... work has been tying me down and I've had 0 time to look at blogs. Catching up just now. The blue and zebra... perfection! Ah that's better! Lovely clear white background for the text, backed with zebra. All perfect now SSG. Comments thingy no problem at all. Glad SSG is back on track for everyone. I use self serve checkouts to avoid miserable sales assistants. Love the new layout, should I leave a little hint that you might be able to own your own little bit of SSG Blue in the form of the new season Spring/Summer 2011-12 Red Phoenix Emporium necklace collection?? I don't want to give too much away! Beyond Exciting, L & W.